There is no person that hasn’t got in their home a bunch of old CDs that are only there to catch dust, because in this days nobody uses them anymore. Well, that should definitely change, we are not telling you to put them in the CD drive, but instead of that put them in a boiling hot water, let them sit for a couple of minutes to soften them up and then when you pull them out and separate the hard plastic, you can cut them into pieces and forms that you like and start making your art. You can make so many different things with them, and for you today, we have selected the top 10 DIY accessories that are gorgeous and fabulous looking. If you are a fan of the hologram or mirror look, then you would probably love our inspirational ideas. Enjoy them! 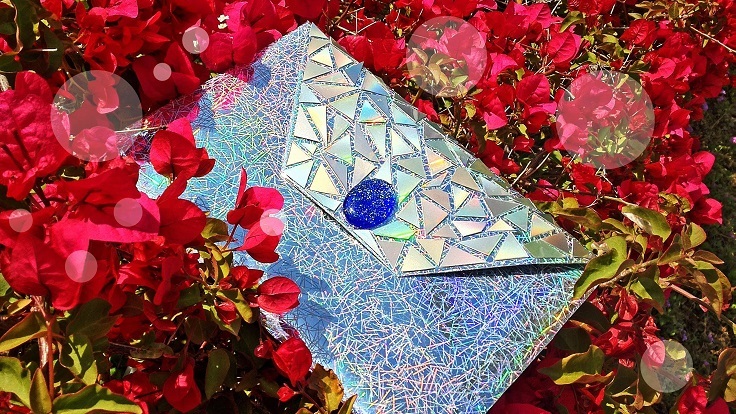 This bag is such a piece of art. Not only the old CD part, but the whole bag is amazing DIY project. If you want to figure out how to do that, open the link below the picture and follow the instructions. 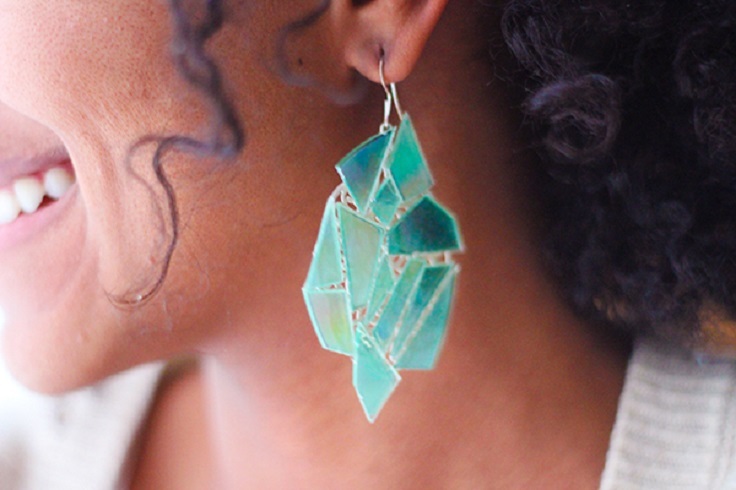 Find some old earrings that you haven’t worn in ages, and glue on them random CD parts. You can see the difference, you will instantly have new and unique earrings that everyone will love. 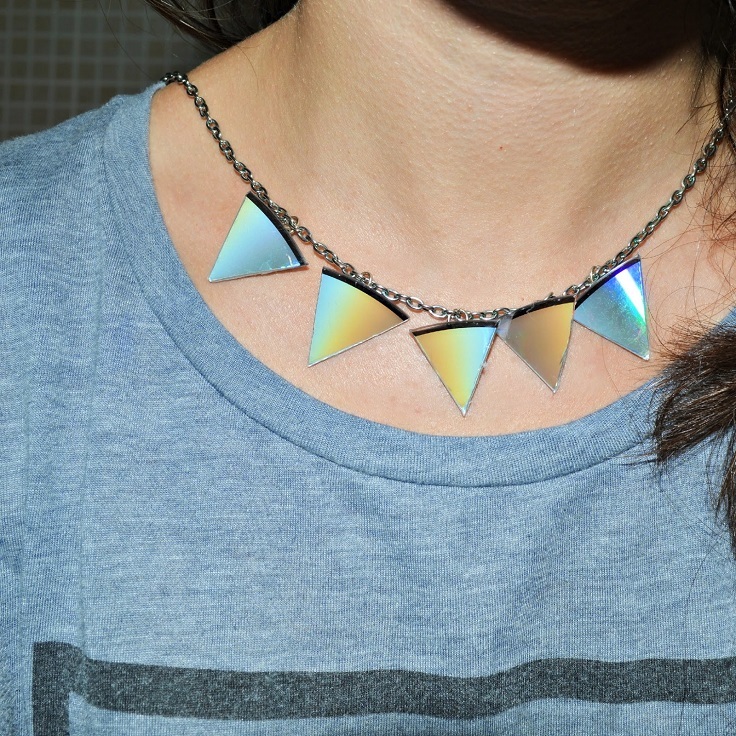 You can have this piece of rainbow on your neck by cutting a same-sized triangle pieces, and then attaching them on a chain. It is very simple, and so quality-looking. 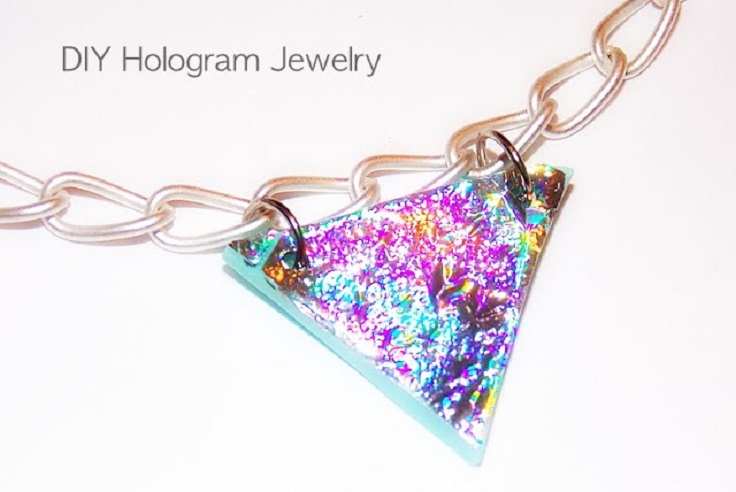 No one can resist the hologram look, it is like wearing magic on yourself. If you want a piece of that magic too, then you can make this beautiful necklace and bracelet. Follow the instructions in the link bellow the picture. 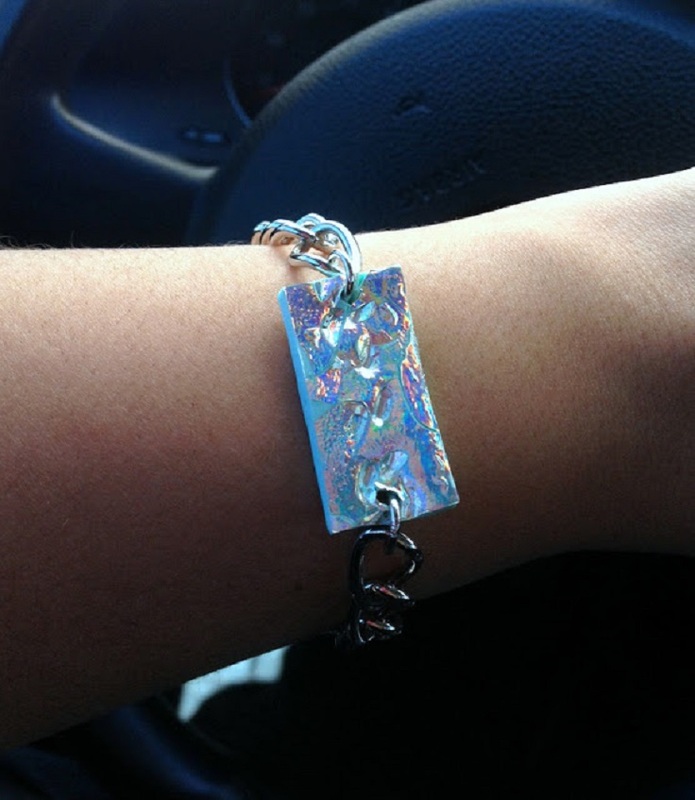 This big bold bracelet can be experimented with something that you already have in your home, like used scotch tape or something similar. The other part is the easy part. Glue the pieces and wait for them to dry out. After cutting the CD disk, put the heart pieces back into the boiling water, so they will boil a little more and get that wrinkly look. Then attach some symbol in the middle, for example the suggestion on the photo, a door. If you find your white shirt too boring, you can easily change that. Glue the CD pieces on the collar and you will immediately change its looks. 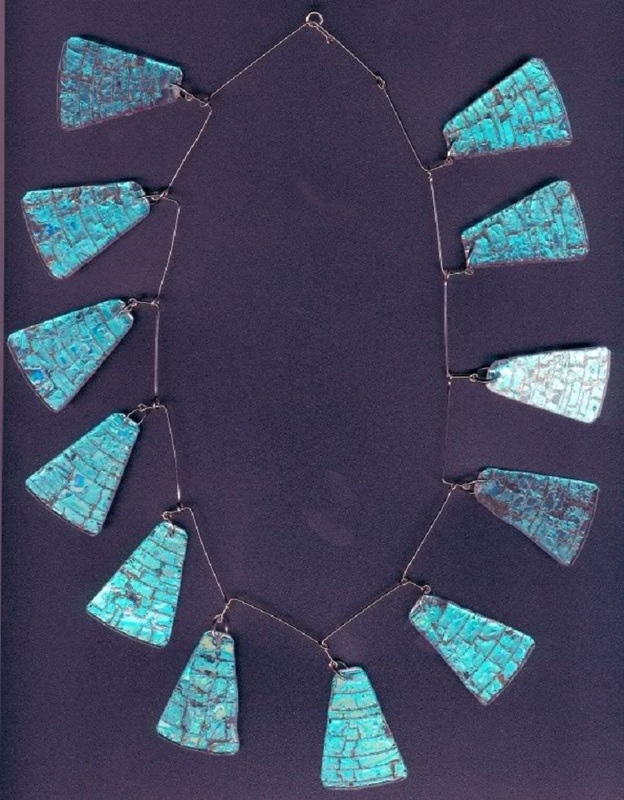 This simple necklace is made from bead pins, attached to each other, and on them are hanging peaces that are boiled after the cutting, and that’s why they got this beautiful soft look. 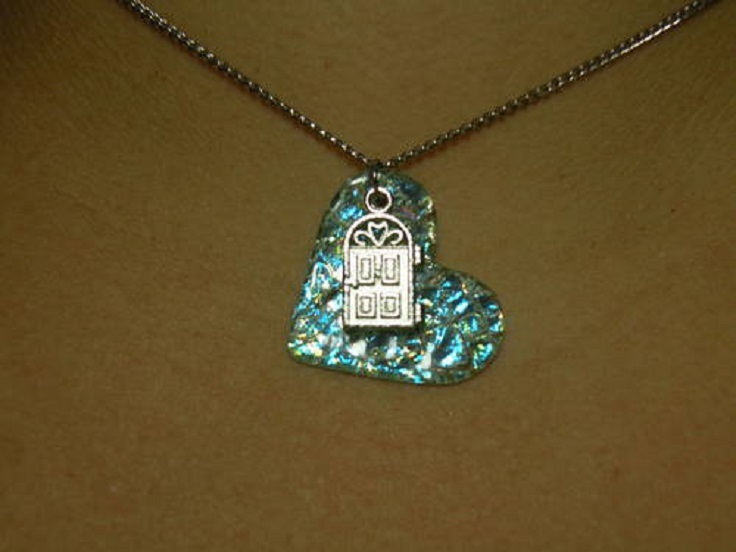 If you are a romantic that is in love with the heart shape, here is another idea for you. 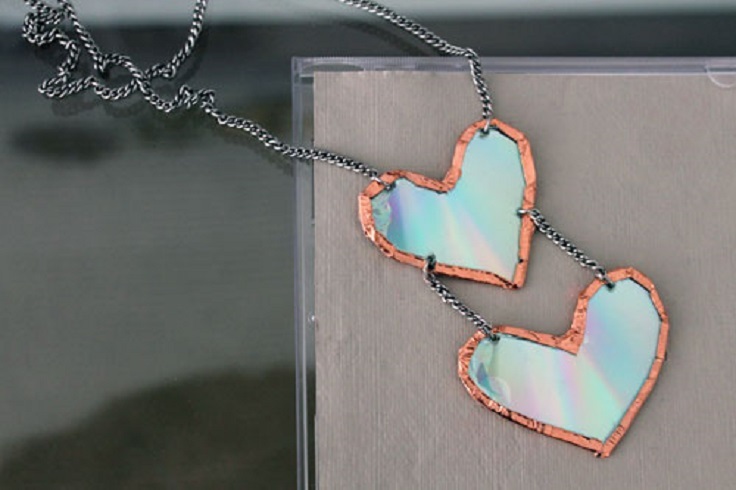 Cut two hearts the way you like them the most, attach a chain with needle nose pliers, add a clasp, and you’re done. 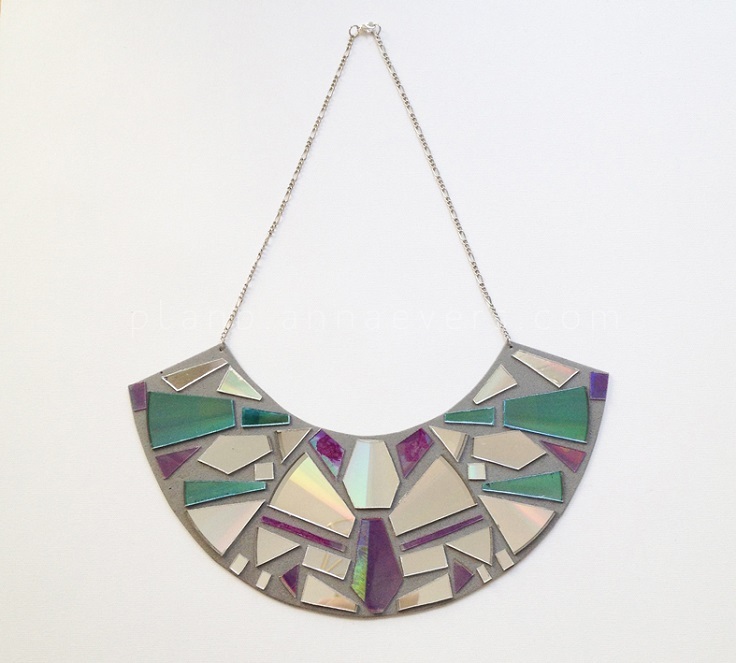 This big beautiful collar necklace is our last idea for this article. The process is the same, just glue the pieces the way you think they should be. One important part that you shouldn’t forget is that you can use CDs that are in different colors, and that way you make the looks more realistic and pretty.